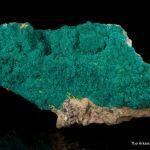 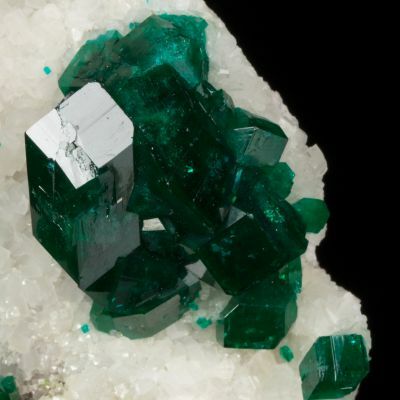 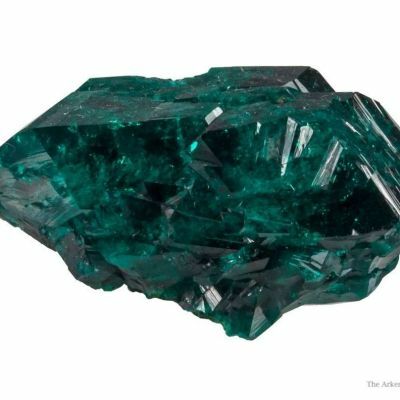 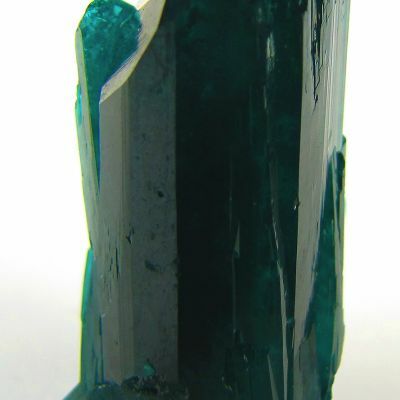 A gorgeous specimen of rare USA dioptase, with a very rich saturated color and unusually rich matrix coverage as well. 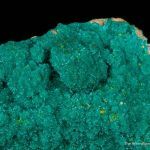 Drusy rosettes of sparkling and partially translucent, rich emerald green dioptase are aesthetically covering one side of limestone matrix. 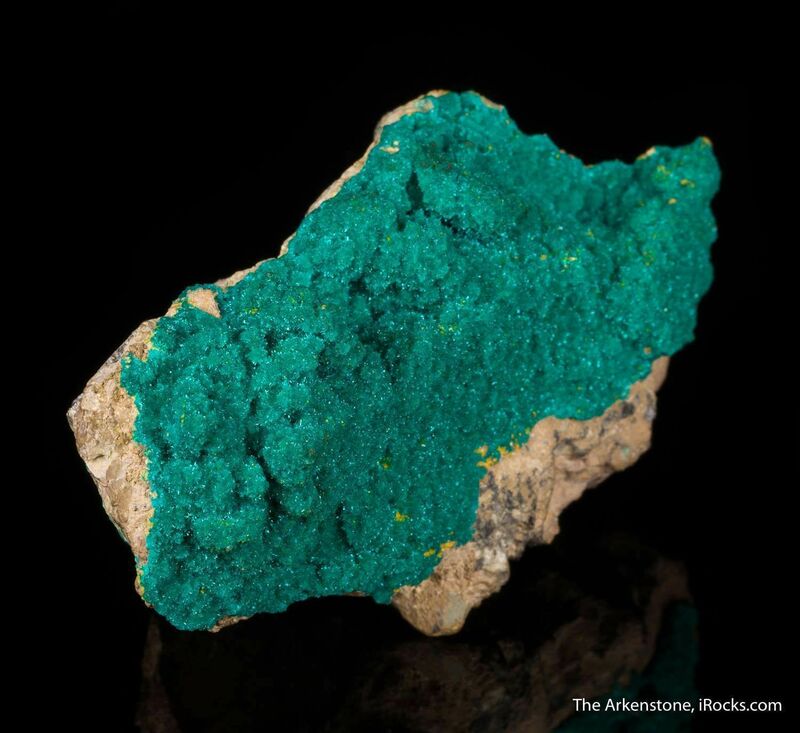 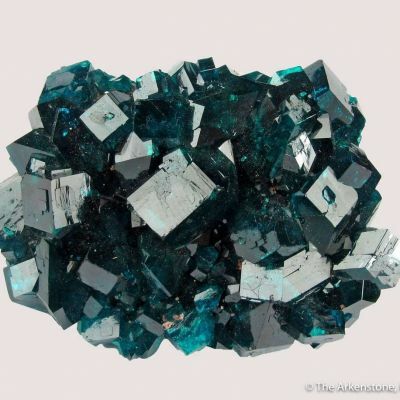 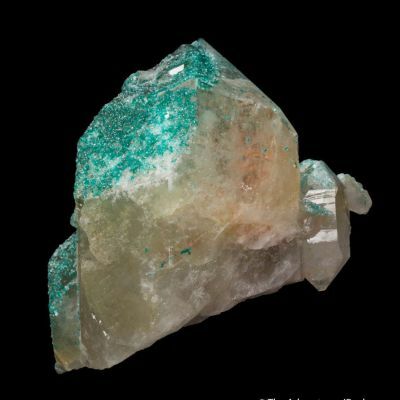 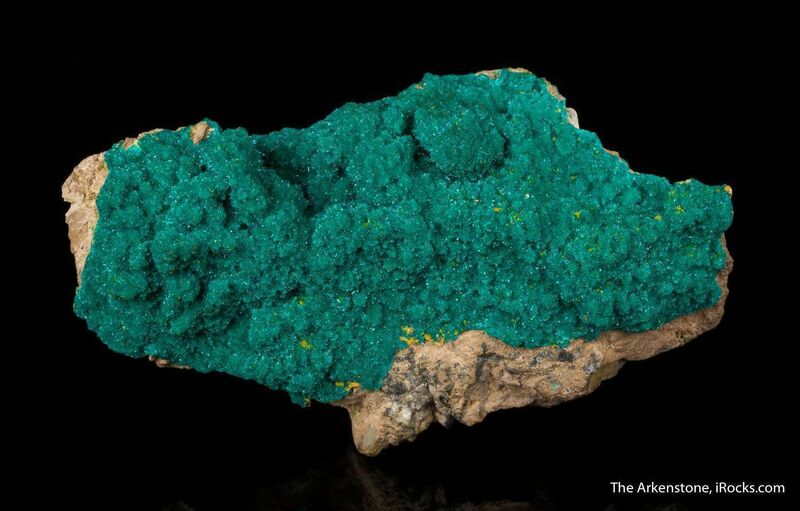 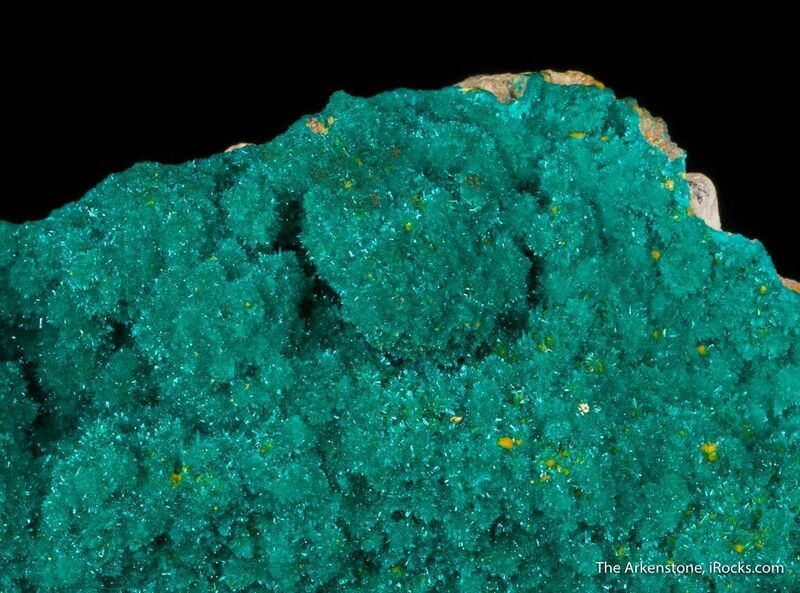 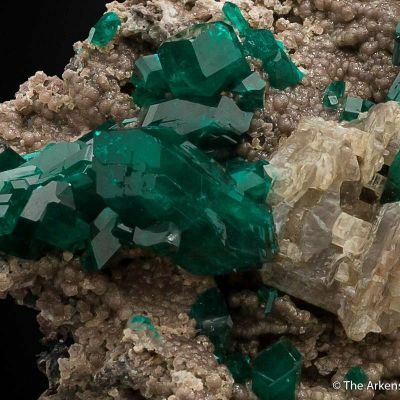 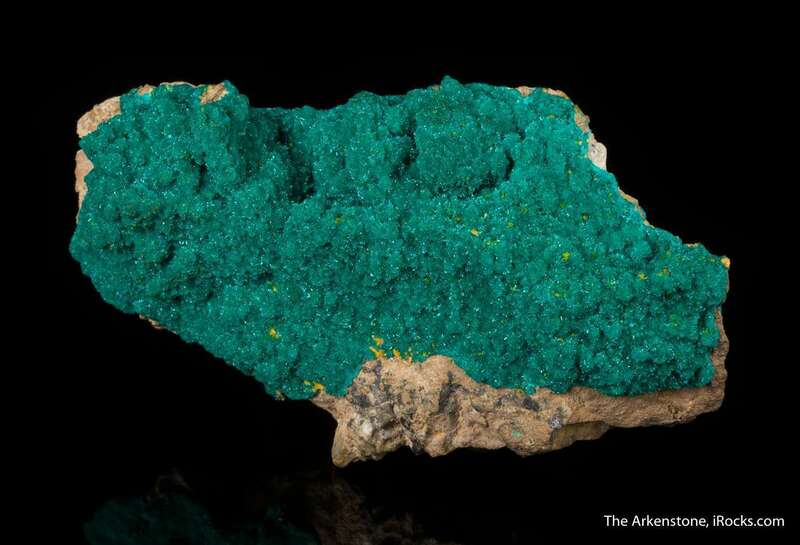 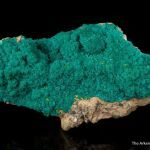 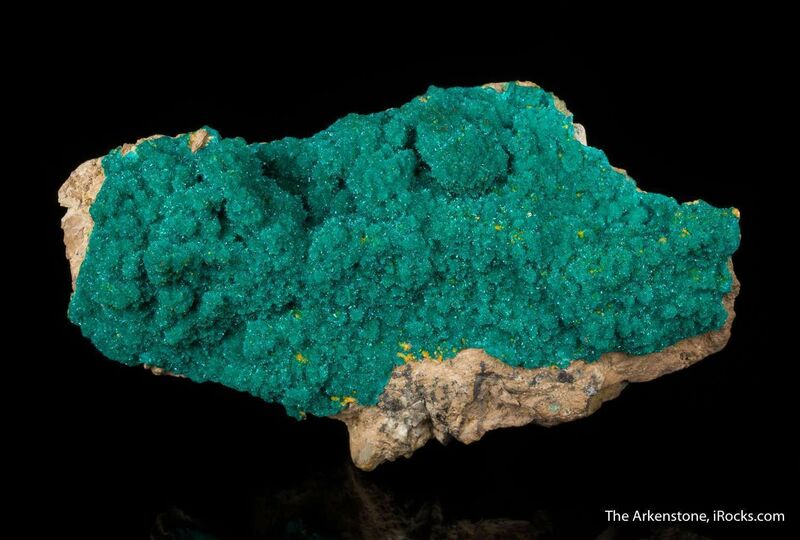 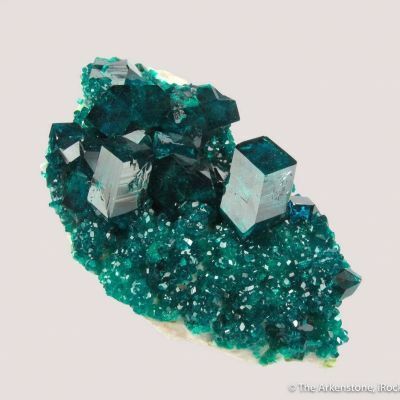 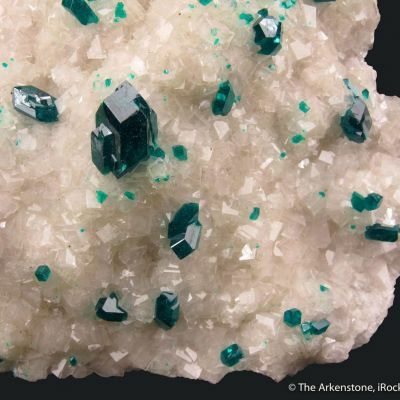 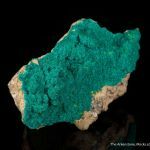 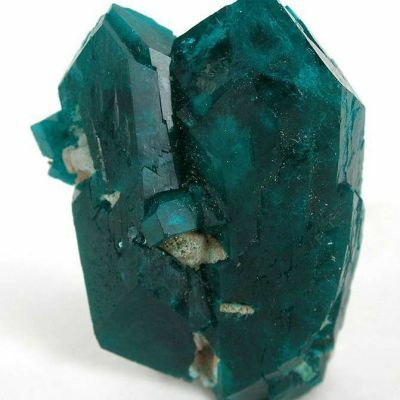 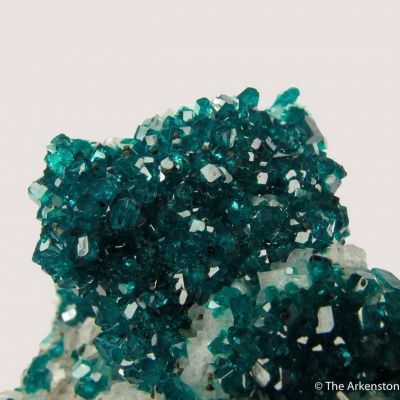 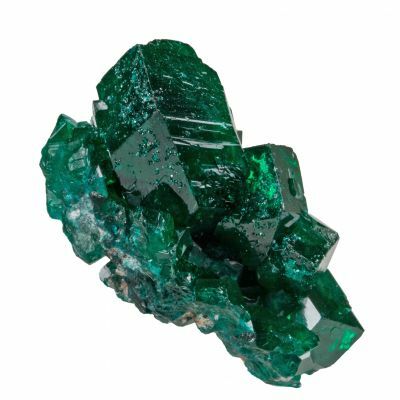 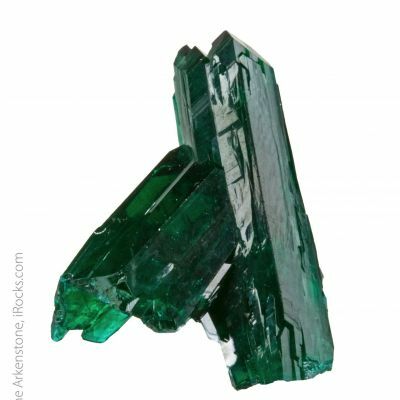 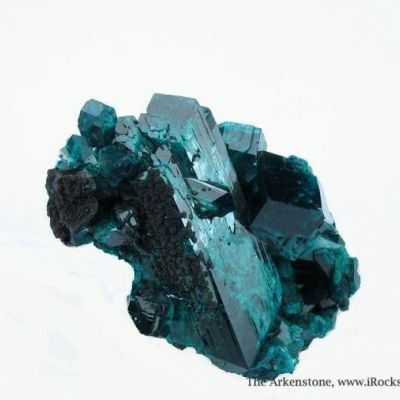 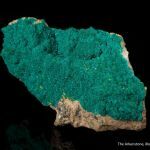 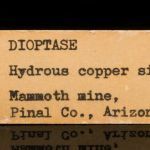 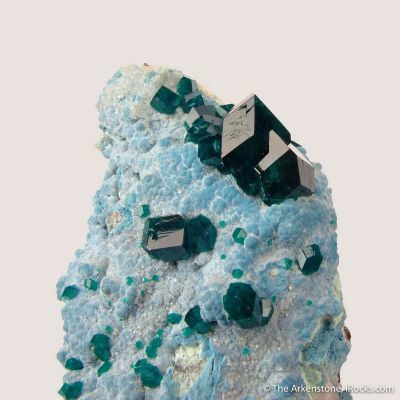 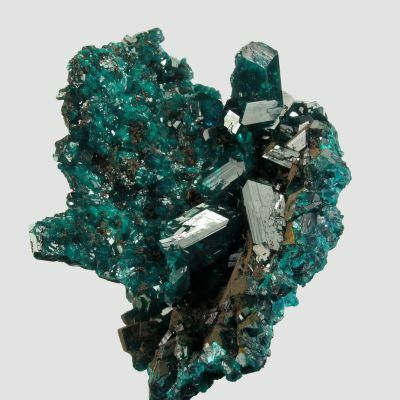 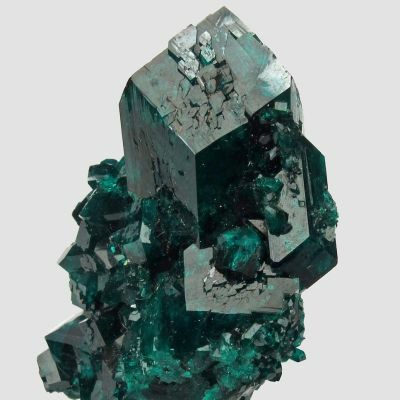 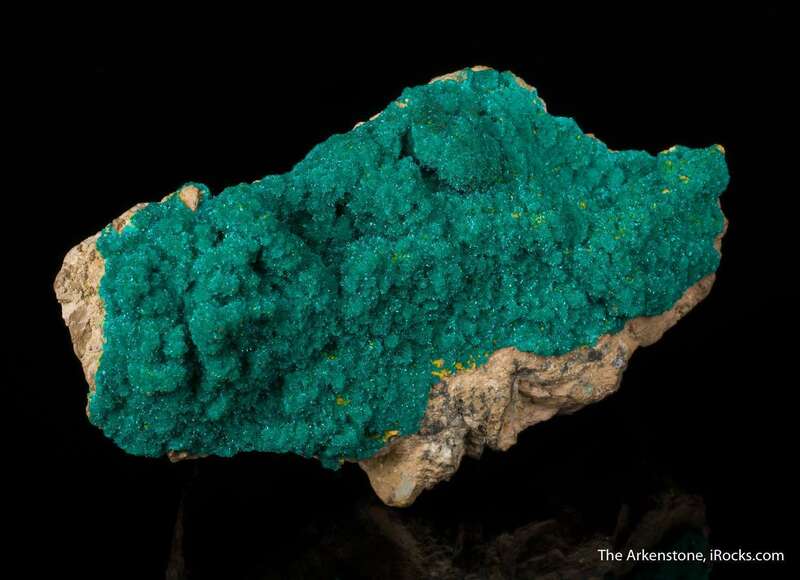 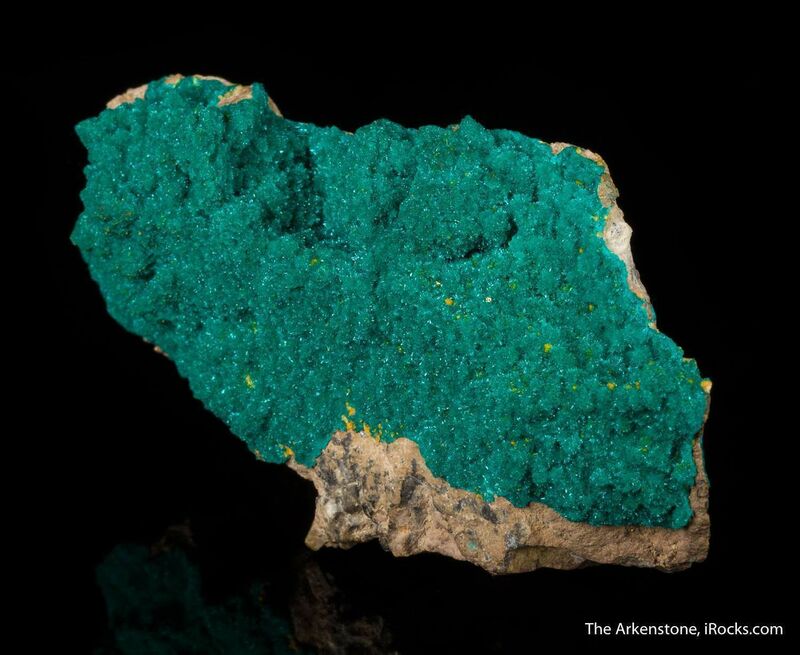 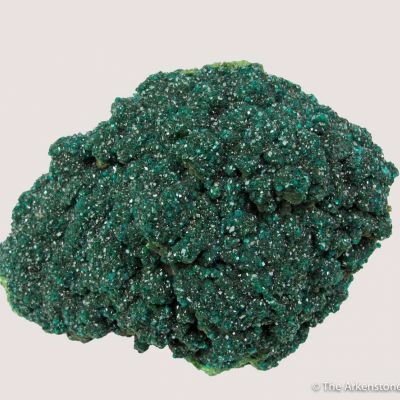 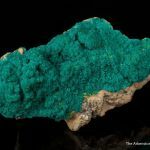 Dioptase was common once upon a time from this venerable old deposit, but specimens this rich and beautiful were never plentiful and now are rare. 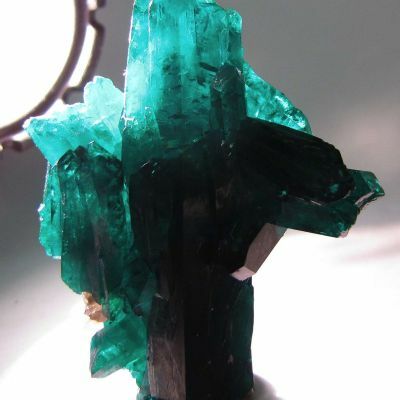 It probably dates to the 1950s or 1960s. 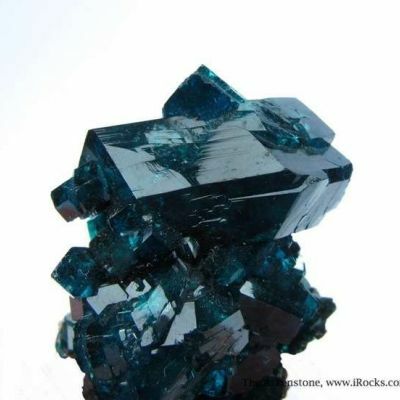 Dramatic and sparkling! 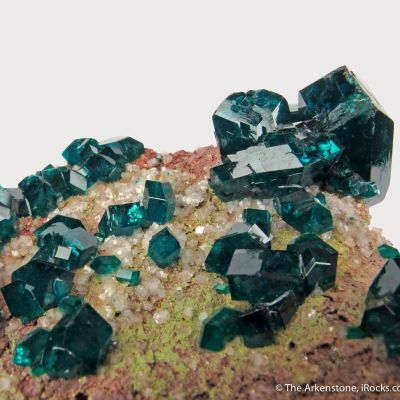 Minor micro orange wulfenites are a bonus.